Andrew graduated with a Bachelor of Arts Degree in history from John Carroll University in 2008. He then went on to earn his Juris Doctorate from Case Western Reserve University School of Law in 2011. 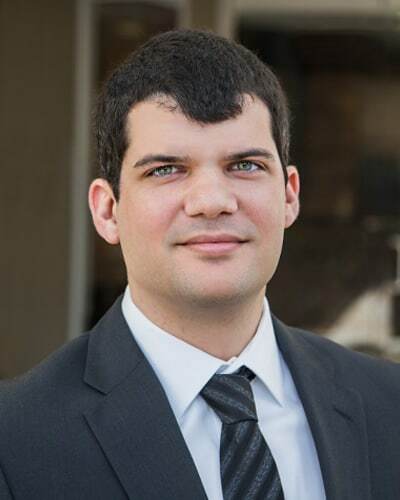 Andrew has worked on cases in a diverse range of subject areas, including family law, non-marital cohabitation cases (Marvin Action), personal injury, and business litigation. This broad experience has allowed him to utilize a unique skillset to better address the particular aspects of his clients’ cases. Andrew believes strongly in honesty and integrity. He is committed to his firm’s belief that the truth is the winning argument for your case. Andrew practices this belief by bringing a positive, honest, and hard-working mentality to all of his cases. Most importantly, he is committed to getting his clients the best results possible.